The Office of Fair Trading (OFT) has approved a takeover deal involving two bus companies operating in Cornwall. First Devon & Cornwall Ltd has bought Truronian, which operates a number of routes across mid and west Cornwall, as well as holiday coaches. Truronian has about 70 vehicles, including 50 buses and 20 coaches. First's deal had to be ratified by the OFT because the takeover means there is now only one other major bus operator in Cornwall, Western Greyhound. First Devon & Cornwall bought the company from current owners Geoff Rumbles and David Rabey. 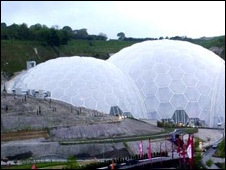 The company currently operates a number of high-profile services, including the Eden Project park-and-ride scheme.